Angus Cottage is named after the famous breed of cattle that we have on our farm Aberdeen Angus. The single storey, two bedroomed cottage, with ramped access, converted from the old cattle barns, and has its own outdoor hot tub in an enclosed garden and patio area. 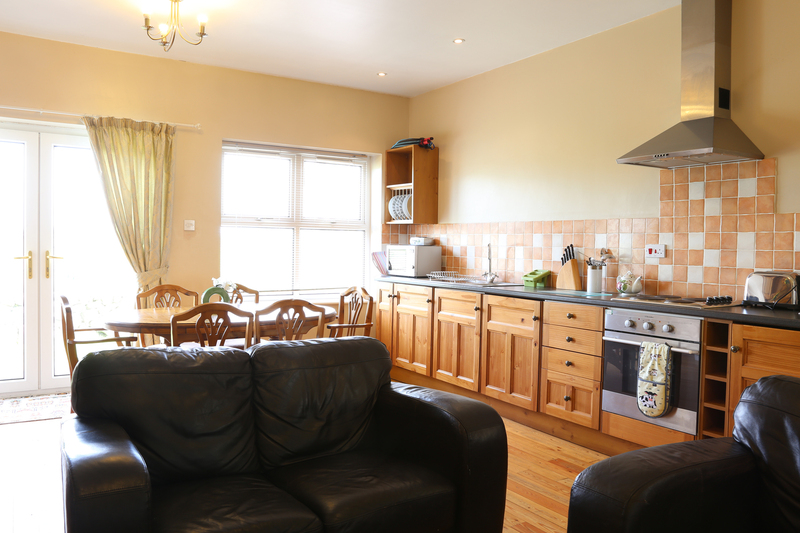 Angus cottage has a lovely cosy spacious open plan living /kitchen room with French doors to the garden. 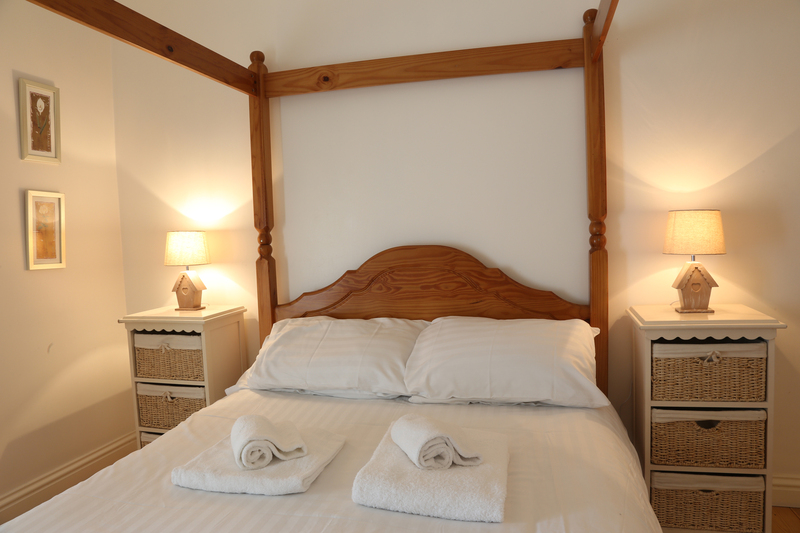 The master bedroom has a four poster double sized bed, the en-suite has wash hand basin and toilet. The second bedroom is a spacious twin bedroom. Bathroom has large bath with overhead shower, hand basin and toilet. With open views from the living area, Angus cottage is ideally situated to explore the surrounding farmland, feed the animals in the surrounding paddocks, the family dog is welcome too , and return to a warm and cosy cottage, heated by our Biomass Wood Boiler. 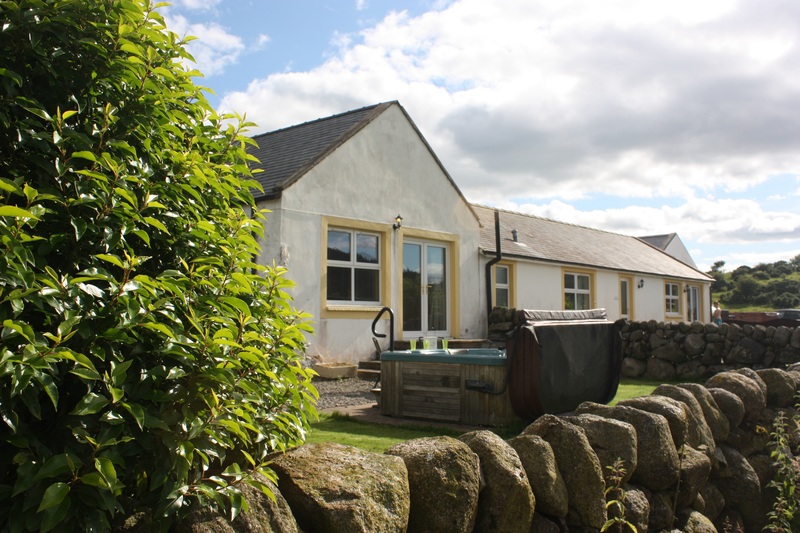 Angus cottage sleeps up to 4 persons, ideal for a get away from it all break, or family holiday, the ramped access makes it ideal for a less abled guest too. Rolling hills, stunning beaches, outstanding wildlife and superb attractions make Meiklebob a place to escape to, where you have the freedom to relax and unwind in your own way. Had an amazing holiday with a few friends. Christine and Alex were very warm and welcoming. The hot tub outside with amazing view and grill was perfect! Would definitely recommend this hidden gem in Scotland !!! Watching the sun go down with a nice cold drink after a great week here. Back home tomorrow but taking a couple of new family members with us, Aladdin and Jasmin the bunny's to remember our trip. Looking forward to our return in April 2016 already! Thankyou for a lovely week. Did you enjoy your stay at this cottage? Please share you story!